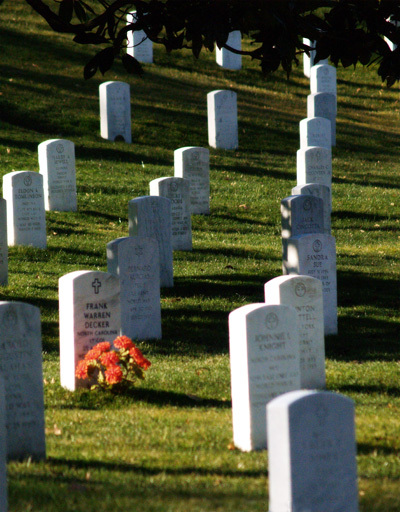 My sons and I recently visited Arlington National Cemetery. Because the winter color is so dull, these beautiful flowers stood out among the gravestones. I went to Arlington two years ago and it’s very humbling. Watched the changing of the guards at the Tomb of the Unknown Soldier and it brought tears to my eyes. It is a beautiful and sobering place. I try to go see it every time I’m in DC.